Below is the opening extract from Quigley’s Corner aka “QC” Wednesday, July 25, 2018 edition distributed via email to institutional investment managers and Fortune Treasury clients of Mischler Financial Group, the investment industry’s oldest minority broker-dealer owned and operated by Service-Disabled Veterans. 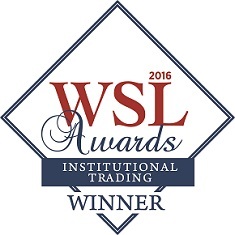 Cited by Wall Street Letterin each of 2014, 2015 and 2016 for “Best Research / Broker-Dealer”, the QC is one of three distinctive market comment pieces produced by Mischler Financial Group. The QC is a daily synopsis of everything Syndicate and Secondary as seen from the perch of our primary debt capital markets desk and includes a comprehensive “deep dive” with optics on the day’s investment grade corporate debt new issuance and secondary market data encompassing among other items, comparables, investment grade credit spreads, new issue activity, secondary market most active issues, and upcoming pipeline. Amidst global trade tariff fears, U.S. President Trump met with European Commission President Jean-Claude Juncker in Washington to deliver what will hopefully lead to a resolution to the simmering ‘trade tarrif war’ between the US and the EU. Trump said today’s meeting at the White House “marks a new phase of close friendship and close trade relations, global security and jointly fighting against global terrorism.” President Trump further stated, “The U.S. and EU represent $838bn in trade and 50%+ of global trade. 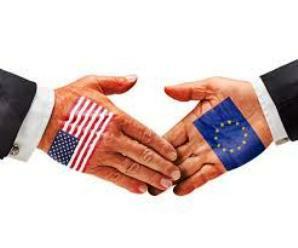 The U.S. and EU enjoy a $1 trillion bilateral trade relationship which is the largest in the world.” Trump and Juncker purportedly agreed to work toward “zero” trade tariff schemes, “zero” non-tariff barriers, and “zero” subsidies on non-auto goods. To reduce barriers in trade, soybeans foremost among them, it was reported the EU will start “almost immediately” to buy “vast amounts” of soybeans, helping US Midwest farmers and “resulting in greater prosperity for both the U.S. and EU, while making trade more fair and reciprocal.” The EU’s Juncker purportedly agreed to import “much more” liquefied natural gas and the U.S. agreed to make it easier for the EU to do so. Both leaders are said to have agreed to launch a dialogue to trade barriers, bureaucratic obstacles and to slash costs. There remain negotiations going forward, specifically on auto tariffs- but they both are said to have agreed to work toward a rapid resolution. Today the IG dollar DCM hosted 6 issuers across 7 tranches totaling $5.15b. The SSA space was quiet. The IG Corporate WTD total is 59.73% of this week’s syndicate midpoint average forecast or $12.125b vs. $20.30b. MTD we’ve priced 71.05% of the syndicate forecast for July IG Corporate new issuance or $57.936b vs. $81.54b. There are now 15 issuers in the IG credit pipeline. Mischler Financial was honored to be a member of the Selling Group on today’s AT&T $25 par Global Notes transaction due 8/01/2067 (callable 8/01/2023). The deal from NYSE:ATT was upsized to $750mm from $250mm. A notable rarity: Today’s Burlington Northern Santa Fe LLC 30-year Senior notes new issue was launched at T+112.5 which was 2.5bps tighter than the tightest side of +120 “area” (+/-5) Guidance. The average spread compression from IPTs and/or guidance thru the launch/final pricing of today’s 7 IG Corporate and Preferred–only new issues was <20.68> bps. Not counting the Preferred and only counting the 6 IG Corporates, IPTs to the launch was <23.08>. BAML’s IG Master Index tightened 1 bp to +120 vs. +121. (It’s post-Crisis low is +90 set on 2/01). Bloomberg/Barclays US IG Corporate Bond Index OAS tightened 2 bps to 1.13 vs. 1.15. (1.24 represents the high on 6/04; 0.85 is its post-Crisis low set on 1/30). Standard & Poor’s Investment Grade Composite Spread was unchanged at +153. (+125 represents its post-Crisis low set 2/02). Investment grade corporate bond trading posted a final Trace count of $21.4b on Tuesday versus $15.4b on Wednesday and $18.3b the previous Tuesday. The 10-DMA stands at $16.9b. Below please find a synopsis of everything Syndicate & Secondary as seen from the perch of Mischler Financial Group’s Investment Grade Capital Markets Desk. USTs: Sold off late on news of U.S.-EU trade agreement. Overseas 10-year: Bought globally ex Switz., NZ and Sweden. SOFR: +0.03 to 1.90 vs. 1.87. 3mth Libor: -0.001 to 2.334 vs. 2.335. Overseas Stocks: U.S., Nikkei and HS rally; Core EU and U.K. sold off. Currencies: DXY Index -0.416 to 94.197 vs. 94.613. CDX HY: -5.847 to 329.940 vs. 335.787. CDX EM: -8.068 to 165.647 vs. 173.715. For the week ended July 11th, Lipper U.S. Fund Flows reported a net inflow of $2.021b into Corporate Investment Grade Funds (2018 YTD net inflow of $52.143b) and a net inflow of $260.016 into High Yield Funds (2018 YTD net outflow of $18.217b). Over the same period, Lipper reported a net inflow of $358.528m into Loan Participation Funds (2018 YTD net inflow of $8.847b). Emerging Market debt funds reported a net inflow of $320.443m (2018 YTD inflow of $1,142b). Spreads across the four IG asset classes are 22.75 bps wider versus their new post-Crisis lows. Spreads across the major industry sectors are an average 29.84 bps wider versus their post-Crisis lows. Market was chugging along, better bid, the curve flatter until news leaked out that President Trump had secured an agreement with the EU to avoid a trade war. Europe reportedly agreed to lower industrial tariffs and import more U.S. soybeans, among other things. That fueled the risk-on metrics, causing stocks and yields to pop while the dollar got hit. This came after a very strong 5yr auction that stopped 1bp through at 2.815%, 9.6bp cheaper than June. The solid 2.61 bid/cover was the highest since May 2017 and compared favorably to the 2.55 last month and the 2.49 average. Indirect bidders accepted 67.2% vs. 62.0% last month and the 63.3% average. the best since last September while primary dealers were only awarded 24.1%, below last month’s 28.5%. Risk premia seeped out of the markets today as they were comforted by the creation of a dialogue with the EU. However, the fate of that dialogue will keep the markets in check. Many participants were wary that any common ground could be found, and I would wager that was one of the foundations of the strong auction bid today. The fact that rhetoric has been toned down had the desired calming effect, but at the expense of market whiplash. I think there are still far more questions than answers on the trade front and that should keep a bid below the market and I still feel that the belly of the curve is fully valued. I will be out tomorrow and Friday; Mike and Steve are here to help.